Ventured into Washington, DC yesterday after deciding to walk the Capital Crescent Trail and take advantage of the fantastic weather. Admittedly the starting point wound up being the metro station rather than the trail, but while we’re on the subject of abandoned railroads, I thought I’d post these items that might be of interest to the local history fanatics out there! Clearly an old railroad bridge, some post-walk research told me this was the remains of the Washington and Great Falls Electric Railroad. 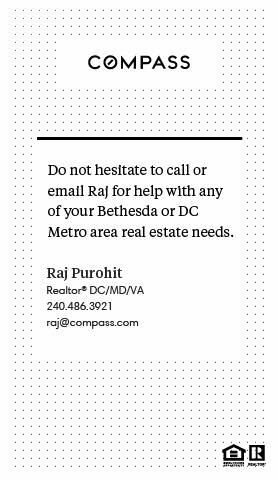 Not strictly a Bethesda issue, although the railroad, also known as the “Cabin John Trolley” (where it eventually terminated, never actually being extended to Great Falls! ), ferried passengers through Glenn Echo, where they could board a Bethesda-bound streetcar. We covered this previously in relation to the Bethesda North Trail (read more here). Further exploration in the woods along Foxhall turned up further remains, while the old track bed was still clearly visible across the road. The old track bed today is a pleasant right of way that is well preserved in certain sections along the route. This is also not the only trestle that remains intact, with others further down the line in Maryland. The Washington and Great Falls Electric Railroad was incorporated in 1892 and opened in 1895, beginning in Georgetown at the junction of 36th and Prospect Streets. It was bought by the Washington Railway and Electric Company in 1902 and finally dismantled during the 1960s. Running along a private right of way, the journey must have been extremely pretty on its vantage point along the hillside above the Capital Crescent Trail. Original photos here. Long-term Bethesda residents may remember the Capital Crescent Trail in its previous incarnation as the Georgetown Branch of the Baltimore and Ohio Railroad (B&O). It’s hard today to imagine heavy freight trains passing through the buzzing yet relaxed Bethesda downtown, emerging around Barnes & Noble before crossing Woodmont and trundling past Bethesda Row Cinema in the direction of Silver Spring. But as recently as 1985, trains regularly rumbled along our favourite local trail. Building began on the Georgetown Branch in 1892 and reached Chevy Chase the same year. The railroad was originally intended to cross the Potomac River just north of the DC line and connect with the B&O-controlled Virginia Midland Railroad at Fairfax. But financial problems forced a halt to proceedings and the B&O lost control of the Virginia Midland Railroad. Revised plans on a less grand scale finally saw the line completed as far as Georgetown by 1910. Trains ran along the route for the next 75 years, serving the Potomac Electric Power Company (PEPCO), the Washington Mill and Federal government buildings. But with the changing nature of Georgetown’s historic waterfront and a shift away from industry, the line became obsolete and finally closed in 1985. In 1988, the Georgetown Branch of the Baltimore and Ohio Railroad between Silver Spring and the DC line was purchased by the Montgomery County Government under the Trails System Act of 1968. Two years later, the National Park Service purchased the remaining 4.3 miles of the right-of-way between Georgetown and the DC/Maryland boundary and the Capital Crescent Trail as we know it was born. On the DC side it was developed as a component of the Chesapeake and Ohio Canal National Historical Park. The abandoned Arizona Avenue Railroad Bridge was utilized and volunteers built a wooden deck over the structure for walkers and cyclists. This was replaced with concrete decking two years later and the seven mile paved section of the Capital Crescent Trail from Georgetown to Bethesda was formally dedicated in December 1996. A further trail bridge was added in 1996 over River Road. Known as the Dalecarlia Bridge, the structure reused components of an original bridge that carried the Georgetown Branch over the Washington and Great Falls Electric Railroad, a now-abandoned streetcar line that, despite its name, never made it as far as Great Falls and came to be known as the Cabin John Trolley. In June 2000, Montgomery County committed $1.3 million to repair the Rock Creek Trestle, which had been damaged by arson. 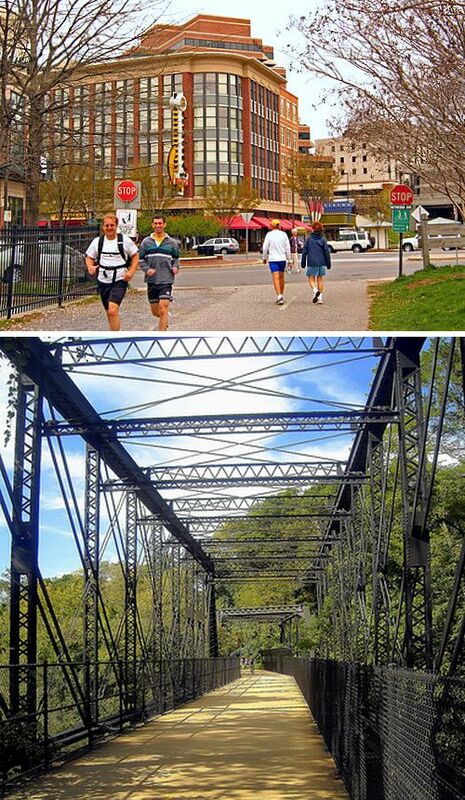 The trestle was dedicated on May 31, 2003 and today, if you’re feeling energetic enough, you can begin at Georgetown, lunch in Bethesda and take tea in Silver Spring. If the improved weather that we’re currently having holds, this could be the perfect weekend stroll.